When I got the news about the passing of Nelson Mandela, like everyone, I was overwhelmed with an extraordinary wave of sadness. 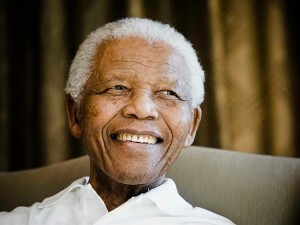 Mandela was a legend to the world, freedom fighter and prisoner turned President and racial uniter. To both my parents who grew up in colonial Africa, he was their Martin Luther King Jr., their pride, and hope for a better and freer tomorrow. And to me, Mandela and my parents were an example of how fundamental the hunger for liberty and equality is to everyone. When I was a child, I remember my mother interrupting my regularly scheduled kid’s programming to tape the televised prison release of Nelson Mandela from 27 years in prison. I was young and I didn’t understand who he was then. I didn’t understand why my dad was eager to get a copy of Mandela’s book, “Long Walk to Freedom”. Then, I didn’t know of the protests waged by US college students against their universities urging them to divest from South Africa because of apartheid. I also did not know of the countless people arrested for protesting apartheid across the world. What I knew at that point was that he was very important to my parents and as I grew older and started to learn of Mandela, his life, and my parents lives I understood why. Neither of my parents are South African. They are from Uganda another African nation. Uganda was a part of the British Empire until the 1960s and while apartheid was not policy in Uganda, my parents understood Mandela’s struggle as their own. When my parents would relay snippets of their lives to me, I picked up on the subversive and sometimes outright tactics used to enforce white supremacy on its black citizens. For example, my father attended a secondary school run by a Scottish headmaster who insisted that all of the boys (black Africans) wear kilts. My father and his friends thought that that was utterly ridiculous. Wearing a kilt was not part of their culture or who they were. My dad and his friends believed nothing was wrong with who they were. So in an act of civil disobedience they organized their classmates to attend class not wearing the kilts. The sentiments around this action were not dissimilar from the South African youth that protested Afrikaans being made a required language to learn in school. My mom, less of an organizer, but just as inquisitive, questioned the history lessons they learned. “What do you mean the British “discovered” Lake Victoria? We’ve (Africans) been using it for years!” She bristled at the notion that the black African existence was irrelevant or that she was less than in any way. To my parents, Mandela’s jailing was heartbreakingly symbolic. My mother once said to me in a passionate voice, her eyes watery: “when they jailed him, to me it was like they told all of black Africa to shut up, like we didn’t matter.” I was moved by how much she was moved, as she had never spoken much to me about it. I intellectually realized the connection between the fight for equality amongst blacks in the US was inextricably tied to that of the freedom fight in many colonized nations in Africa, but I like countless of blacks in the US whose grandparents/parents had experienced legal segregation in the US also visibly saw its costs. There were not only opportunities for professional and personal advancement lost, but there was injury sometimes irreparable to self-esteem and dignity. Nelson Mandela serves as a beacon to me. He suffered and sacrificed his life for cause bigger than himself. He was man that was not perfect, realized it, and embraced evolving to become a better person and activist. A part of that journey was when he realized along the way retaliation against apartheid crimes, while it would satisfy the justifiable anger of many, would not make South Africa heal but peaceful reconciliation would. As a feminist, I am heartened to learned he realized racial equality was not enough, but gender equality and advocating for policies that brought South African closer to gender equality, had to be part of the package to make South Africa a true democratic society. My parents’ careers in education and health care were driven to find ways to serve in their community. And from childhood, they also urged me to also live my life in finding ways to give back. After much decision making, I found my way into activism around women’s rights and communities of color, stirred by that same frustration that move many millions around the world to fight injustice when they see it. However, I doubt I will live to accomplish 1/10th of what Mandela did in the name of justice. While Mandela is an example to everyone, of the many lessons he leaves for us particularly in the African diaspora is how proud, strong, and resilient we can be in the face of adversity and how we must never let that disillusion us in the fight for a more just world.